This month's "Getting To Know The Faces Behind The Counter" features Ruben Elenes. As the manager of Encinitas Self Storage, Ruben oversees the largest of San Diego Self Storage's 18 facilities. His exceptional leadership skills combined with his friendly demeanor inspire co-workers to strive for the greatness. Ruben is not satisfied with simply meeting expectations and standards; he strives to exceed them. New customers love the gregarious first impression that Ruben genuinely exudes. Additionally, tenants admire his even-keel and professional management style. 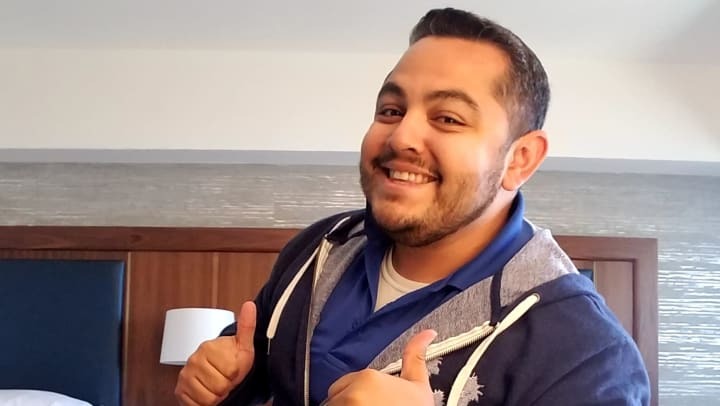 Ruben is an exemplary San Diego Self Storage employee and manager, and it is truly a delight to have him as a key part of our team. Where would you go in a time machine? If I were able to go into the past, I would really like to see my family’s families. I would write up a huge family tree that I could use going forward. What is your go-to karaoke song? VIOLENT FEMMES – Blister in the Sun! If you could travel anywhere in the world, where would it be? BORA-BORA!! What meal do you enjoy cooking the most? I love dessert. But one meal that I enjoy making the most, Arroz con Leche! It’s such a simple recipe and it brings back so many memories that include my grandmother. What’s worth spending more on to get the best? People’s time and energy is worth spending more on to get their best.